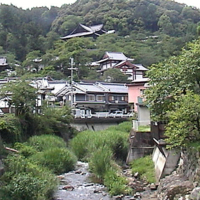 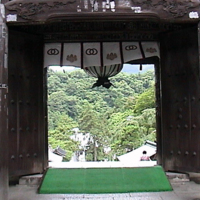 This is a view of the Hasedera temple, on the hill, from a bridge leading to a shrine dedicated to the protecting deity of the temple. 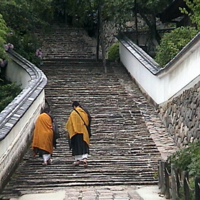 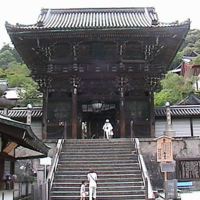 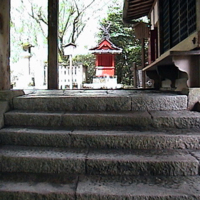 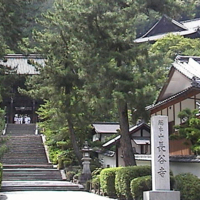 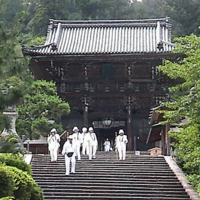 This is the view of the perimeter of the stairs leading to the main temple visible above. 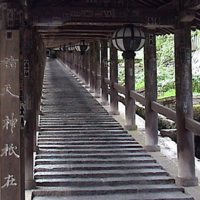 The terraces and the rain gutter are made of hand-placed stone. 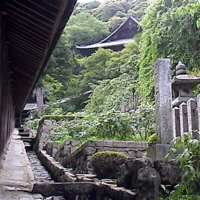 Note the small stone bridges apparently designed for access to the plants across the gutter. 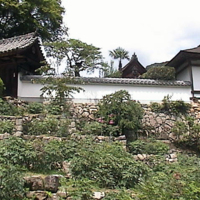 The hilly complex at Hasedera encompasses many interesting buildings, each with a unique design that features particular combinations of stone, wood, tile, and painted mud walls, as well as careful landscaping.